Thrive Apprentice was the latest product launched by Thrive Themes though it was available for existing members for more than a year. 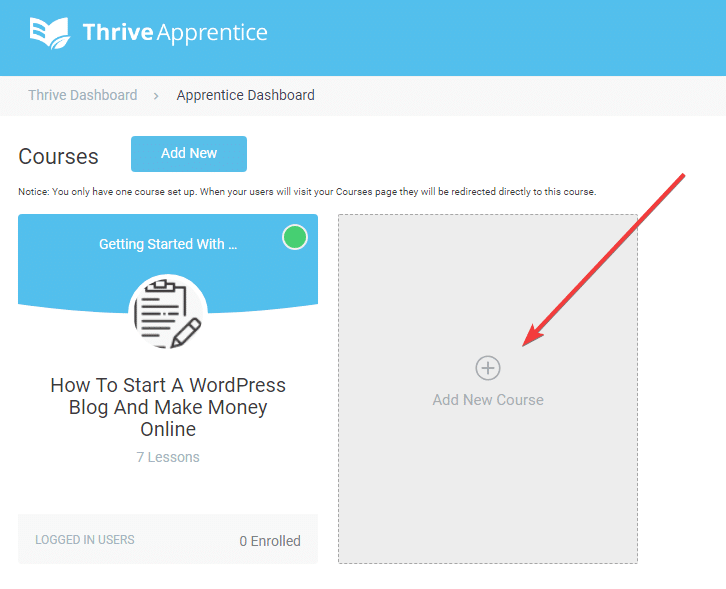 In this Thrive Apprentice Review, I talked much more about how to create an online course without spending your money on expensive LMS plugins. Right now, the plugin is on launch mode for the lowest price along with the Thrive Themes CEO Shane's online product of how to create online courses which are going to be the only course you'll ever need to learn on how to successfully sell your digital products. It's a simple online course creation tool which enables your default WordPress site into a money generating course website with a most effective and easy approach. I created this simple online course for my visitors to give a live demo of how the plugin works. To make sure every visitor of this review post understands the usage, I made the course login free. Setting up a course is as simple as that If you're familiar with most UI on Architect, Comments or Themes. To get start click on “Add New Course” and the next step is to give a course name, URL and description. Since the content will be indexed in search engines, it will be good if you add SEO centric description for better rankings. Upload a cover image and you can also include a video description for your course landing page. Now, click on “Show Advanced Settings” and play with settings to make sure, you can build your courses as per your ideas. 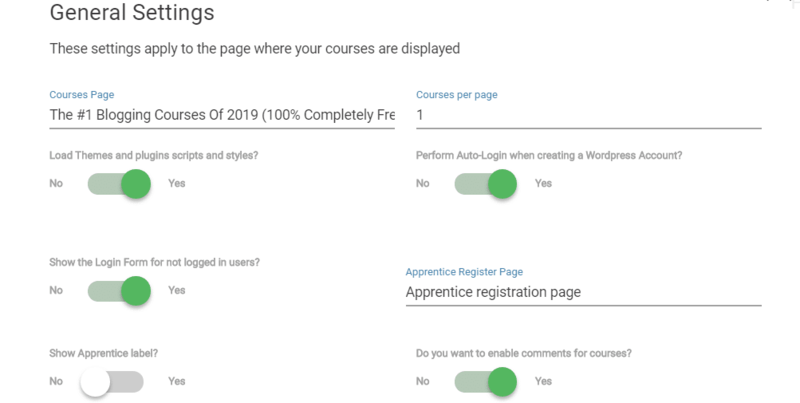 If you choose to Restrict access, the users need to create an account and you can also give a difficulty level of the course and once done, click on save. Once the above settings are made, its time to make a hierarchy for your course structure. There are basically three things – lesson, chapter, and module. Let's see how I created my course in this review. The below image says it all, however, you can check our Thrive Apprentice Examples demo page and check how it works. 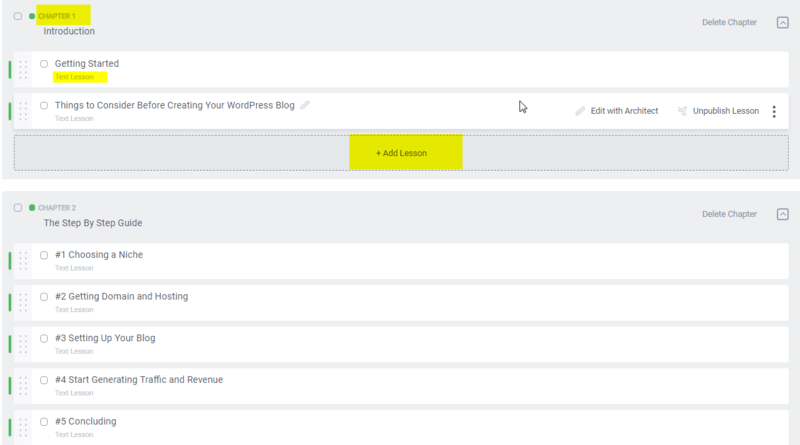 My course title goes like “How To Start A WordPress Blog And Make Money Online” Within that, I created a Chapter named “Introduction” and talked about general instructions. Instead of Chapters, you can either use Modules to organize your course structure. Now I added essential lessons under each chapter. The Thrive Apprentice plugin allows you to create personalized templates, click on settings and then template settings and the below windows open where you can match the site color or change fonts or technical words to make your branding good. Once this was done, you can start sending traffic to this page either through your email list, social media followers, paid campaigns etc. Wish you all the luck to generate greater passive income with this awesome plugin. 1. Can you have Multiple courses? Definitely yes. Unlike others who charge heavy puts a limit on a number of courses created, the plugin won't put any limits. 2. How to invite subscriber? If you have a Membership, you can use Thrive Leads to place leads forms on your existing sites to generate leads or you can use Architect to design landing pages thus promoting them on Social media sites to invite new subscribers. 3. How to remove Thrive Apprentice branding? 4. Best Themes to Work With? Almost all the themes work good, however, if you ask me one particular option, choose focusblog. 5. How to check who is enrolled? Under each course, you can check how many got enrolled. 6. What is the Best course cover image size? 7. Is Thrive Ultimatum a Membership Plugin? No, you need to sign up with Sendowl to sell digital products, process payments and a membership plugin like S2 Member to manage users.